GO.143 New DA to TS Employees from 1st January 2018 (Present DA : 27.248%) : Telangana Increased Jan 2018 DA GO 143 - 27.248% For TS Employees and Teachers. TS DA GO 135 New DA 2.096% to TS Employees from 1st Jan 2017(Present New DA 24. 104%) Telangana GO 135 New DA @ 24.104% to State Govt. Employees, Teachers, TS DA GO 135 Telangana Jan 2017 DA 24.104% New DA GO TS Enhanced DA Jan 2017 DA 24.104% Salary Table for Telangana Employees and Teachers. TS Jan 2017 Incresed DA 24.104%, Telangan New DA 24.104% from January, 2017. Telangana DA July 2016 Enhanced DA 22.008% Salary Table for TS Employees and Teachers Increased DA GO 121, Telangana July 2016 DA 3.144% for TS Employees Enhanced, July 2016 DA 21.484%, TS July DA Arrears , Telangana Jul 2016 DA GO 58, Jan 2016 DA GO No 103 Download, Telangana Employees Dearness Allowance Latest News, TS Govt. Order Download, TS DA GO Latest, Telangan latest DA Table , TS Employees new Salary table with JAN 2016 DA 18.340%.DA Difference 3.144%. 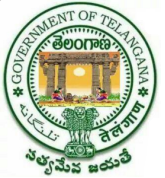 TS GO DA Enhanced from 15.196% to 18.340% from 01-01-2016, TS GO 103, DA 3.144% Sanctioned to Telangan Employee from 1st Jan 2016, Present DA 18.340%, AP New D.A from 15.196% to 18.340% Increased. New DA Arrears : 01-01-2016 to 31-08-2016 to GPF and 90% CPS Adjustment. TS GO DA Enhanced from 18.340% to 22.008% from 01-01-2016, TS GO 58, DA 3.144% Sanctioned to Telangan Employee from 1st Jul 2016, Present DA 22.008%, AP New D.A from 18.340% to 22.008% Increased. New DA Arrears : 01-07-2016 to 31-03-2017 PF and CPS Adjustment. TS GO DA Enhanced from 22.008% to 24.104% from 01-01-2017, TS GO 135, DA 2.096% Sanctioned to Telangan Employee from 1st Jan 2017, Present DA 24.104%, TS New D.A from 22.008% to 24.104% Increased. New DA Arrears : 01-01-2017 to 31-08-2017 PF and CPS Adjustment. TS GO DA Enhanced from 25.676% to 27.24% from 01-01-2018, TS GO 143, DA 1.572% Sanctioned to Telangana Employee from 1st Jan 2018, Present DA 27.248%, TS New D.A from 25.676% to 27.24% Increased. New DA Arrears : 01-01-2018 to 31-08-2018 PF and CPS Adjustment. TS Teachers July/ Jan DA announced, TS Employees New July DA Increased rate, TS Teachers latest DA, Enhanced DA GO Download, TS Government DA Increased.